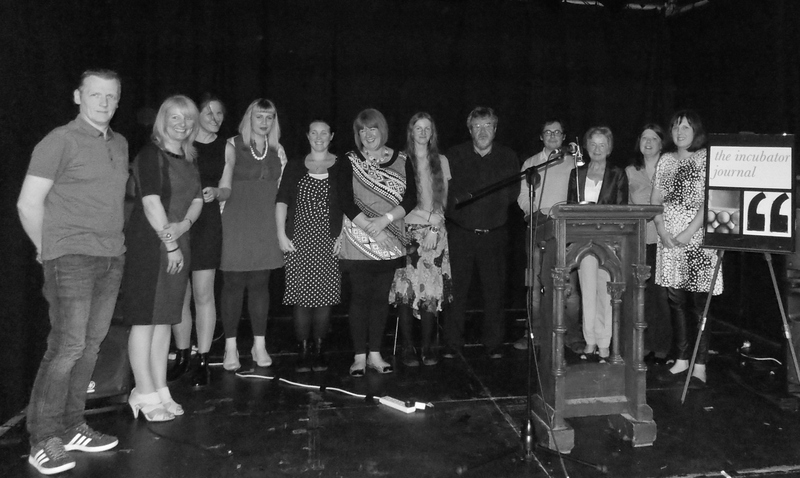 On Sunday 8th June issue 1 contributors joined us in the Black Box, Belfast, to launch the journal. Writer and arts facilitator, Caroline Healy, introduced The Incubator by reading poetry and fiction on the theme of home. It was a great start to the day. Flash fiction was read by Elaine Donnelly, A.J Black, Ruth McKee, Clodagh O’Brien and Nandi Jola while two of our memoir writers, Phil Young and Paul Anthony, read their work. Short stories came from Jan Carson, Eoin Murphy and Ann Field. And many came from quite a distance! Talent was flowing. Voices were diverse. It was a fantastic experience to hear the words lifted off the screen (and page). We’d like to thank all contributors, whether they read or not. Thanks to Claire Savage for reviewing the day on Culture NI. Currently we are reading submissions for issue 2. The deadline is 30th June. Flash fiction, short stories and one scene plays this time. We look forward to reading more of the best contemporary new writing from NI and Ireland! < Previous Issue 1 is here!